The rapid growth in the population is always supplemented with increasing demands and every day in India, 3800 children die from drinking dirty water according to UNICEF. Out of which 80 percent suffers from pollution-induced diseases and fatalities. The citizens, children, tourists, economy, development- everything is affected by the massive amount of waste on our streets and polluting the waterways. It’s not just about how it looks, but this untreated and mismanaged waste is harmful to our health. According to the Planning Commission of India, the country produces 62 million tonnes of waste annually. Out of which, 43 million tonnes is solid waste and only 11.9 million tonnes is treated while the left is dumped in the landfills untreated. Cities do not have the space to dispose the wastes. And with growing population, the waste generated by cities is expected to rise by five percent every year, according to Delhi-based non-profit Centre for Science and Environment (CSE). According to the survey by CSE, Alappuzha and Panaji are the India’s top four clean cities because they give priority to segregation of waste at household level, and its reuse. This survey highlights the cities in India who are managing waste very well and what can the other countries learn from their cases. Alappuzha is a city in Kerala famous for its backwaters and beaches. 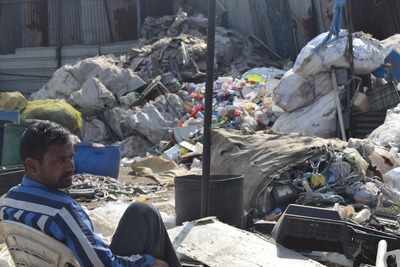 The city produced 58 tonnes of solid waste everyday. As reported by CSE, the waste was dumped in a six-hectare plot in Sarvodaya Puram village. This caused pollution, contamination of water resources and spreading of diseases like chikungunya and dengue. In June 2012, residents of Sarvodaya Puram protested, went on hunger strikes and blocked the roads for 100 days. This led to closing the dumpyard. Thomas Isaac, member of Kerala Legislative Assembly from Alappuzha decided to try decentralised waste management. Alappuzha municipality has 52 wards. The ‘Clean Home Clean City’ programmes started with 12 most urbanised wards covering 12000 households, as a pilot project. Household and localised composting setups were promoted along with individual biogas plants. At present, 3500 households using biogas plants and 6000 families using pipe composting. The households without these setups put their waste to 15 composting shreds with 165 bins for community composting. “Although the focus of the initiative is households, it has also set up daily pickup segregated waste from commercial places like hotels and restaurants,” said CSE Spokesman. The collected wet waste is taken to piggeries and fish farms of the city. Whereas the dry waste is taken to a godown and sent to recycling facilities in Tamil Nadu and Karnataka. “The city now has strong segregation system, decentralised composting set-up and zero landfill model. This system helps Alappuzha recognised by United Nations Environment Programme (UNEP) as one of the top five models across the world for fighting the pollution menace,” said CSE official. Panaji is a city in Goa famous for its beaches and Dona Paula, meeting point of two rivers, Zauri and Mandovi. The city produces 55 metric tonnes of municipal solid waste every day out of which 20 metric tonnes is wet waste. The City Corporation of Panaji (CCP) manages the solid waste in the city. With the rapid increase population, urbanization and industrialisation the problem of waste management also increased. Inadequate collection, unmanaged disposal of industrial, commercial and domestic waste was presenting problems for human health and existing environment. Panaji City was plagued with inefficient and insufficient civil amenities. In early 2003, a comprehensive city revitalisation campaign was launched. The city was divided into 12 waste management zones, each under a supervisor who manages the collection and transportation of waste. CCP put in place a five way segregation system that differentiates between wet and dry waste. And sub-segregates the dry waste according to its recyclability. As reported by CSE, dry waste is segregated into four categories: Plastics, paper and cardboard, glass and metals, non-recyclable materials (leather, ceramic, etc). There are 70 decentralised composting centres for residential wet waste. Wet waste from hotels, eateries and marketplace is handled separately. Wet waste to 20 tons per day from hotels and eateries is sent to composting plant outside the city. The marketplace has its own localised composting unit that takes in about 4 tons of wet waste from food vendors. Based on Sunita Narain's book, Not In My Backyard, dry waste from residentials, hotels, eateries and marketplace is taken to a central sorting facility where the waste is segregated vigorously into 30 categories. The segregated dry waste is then sent to neighbouring state for recycling. The city has now a five point segregation method, decentralised composting system and a zero landfill model. “The city has now become bin-free and carries out waste management at three levels- collection and segregation, transportation and intermediate storage,” said the CSE official.